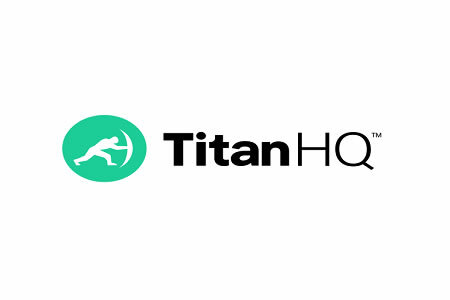 TitanHQ has announced it is enjoying sustained growth that has been fueled by new partnerships with hospitals, school districts, and insurance firms who have chosen to secure their wired and wireless networks with the WebTitan web filtering solution and use the firm’s cloud-based anti-spam service to keep their inboxes spam free. Over the course of the past 12 months, TitanHQ has been increasing its healthcare clients. The healthcare industry is being targeted by hackers and ransomware and malware attacks have soared in recent months. Two of the main ways that malware and ransomware is installed is via malicious links in emails and drive-by downloads, which can be blocked with WebTitan. The latest health system to sign up and use WebTitan is the European Hospitals Group – a leading health system in Brussels in Belgium. The multi-lingual hospital group operates two facilities in Uccle and the Etterbeek/European Quarter and employs more than 1,800 staff. The hospital has now implemented WebTitan to prevent web-based malware attacks and to control the content that can be accessed via its network. The web filtering solution is an important additional layer of security to ensure the confidentiality, integrity, and availability of health information. The short-term insurance and financial services company MiWay has also signed up to use WebTitan to secure its network and control the content that can be accessed by its employees. With the financial services one of the most commonly targeted industry sectors, and cyberattacks in South Africa exceeding global averages, this additional layer of security helps to protect its network and keep almost 3,000 endpoints malware free. The latest addition to the growing number of schools that use WebTitan to control the content accessible by staff and students is the Burlington Edison School District in Skagit County, Washington. The web filter protects students from coming to harm online and is an essential element of CIPA compliance. The district serves more than 3,900 students in the Alger, Bow, Burlington and Edison communities and employs approximately 230 teaching staff.